Southern Hills Tennis Center is a SPAR facility. Built in 1975, it is a managed facility where tennis activities are organized and players are welcome to be a part. There are 10 beautiful hard courts all redone in the last nine years. There are fees to play on the courts and be a part of the instruction that takes place at Southern Hills. 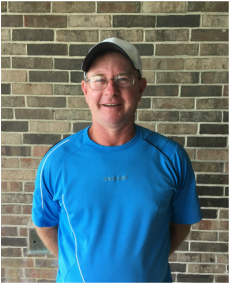 David started as the Director of Tennis at Southern Hills in February of 2003. He is certified as an Elite Professional with the USPTA. He has been an intricate part of the Shreveport tennis community for the last fifteen years. He was chosen as USTA-Southern Pro of the Year, and his family was chosen as both USTA-Louisiana and USTA-Southern Tennis Family of the Year.